“While diplomats struggled with a myriad of political challenges between the eagle and the peacock, Project Indians worked at the personal level,” writes Arun Bhatia. 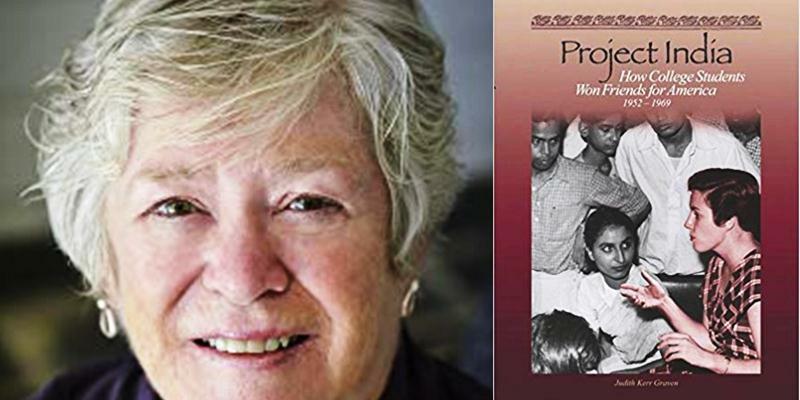 Project India (How College Students Won Friends for America 1952-1969) by Judith Kerr Graven documents the story of a people-to-people initiative in the acrimonious decade of the ‘50s when a Harlem preacher told a group of undergraduates at University of California at Los Angeles (UCLA) that Indians have an unfavourable impression of America and communism is spreading through Asia. At UCLA, there developed a bold new idea – a youth ambassador programme to send a cross section of ‘average’ Americans to India. In 1952, a dynamic ‘little white haired lady’ Dr. Adaline Guenther initiated ‘Project India’, to send UCLA students to Indian cities as ambassadors. During those 18 years (1952-1969), while diplomats struggled with a myriad of political challenges between the eagle and the peacock, Project Indians worked at the personal level. The book is very readable, full of anecdotes and plenty of pictures. The year wise narrative brings up our own history as the American students met Jawaharlal Nehru, President Rajendra Prasad, vice president Radhakrishnan and later dignitaries, while they stayed with students at hostels, and with maharajas. Nehru had met each Project India team till his death 10 years later. The genteel and petite Pat McBroom was rather confused. ‘Well my mother was born of Swede-Scots parents while my father has Irish-French ancestry. I do not know what I should call myself – I guess just plain American.’ Naidu Permaul (also a Project Indian)’s grandparents migrated to the west indies over a century ago, and his grandparents lived in Los Angeles. Both his parents worked in the city government in Los Angeles. Naidu looked like a south Indian, talked like an American, and could not tolerate hot food (like an American). Arun Bhatia is a resident of Bengaluru and an avid reader, writer, and photographer. He has also modeled in TV commercials.